Service Costs > How Much Does an Irrevocable Trust Cost? How Much Does an Irrevocable Trust Cost? An irrevocable trust is an estate planning arrangement that cannot be changed or altered once set up. It can help an individual avoid paying for estate and gift taxes in the future by removing property from your possession. How much does an irrevocable trust cost to set up? On average, the complete process of setting up an irrevocable trust could run anywhere from as little as $1,000 to as much as $7,000 for a complex setup. According to Lodmell.com, the cost of setting up an irrevocable trust can run anywhere from $2,500 to $7,500. Dummies.com states that an irrevocable living trust typically costs $1,000 to $3,000 per individual. A Forbes.com report provides an idea of how much an irrevocable trust will cost to get a lawyer for estate planning purposes. According to a lawyer connected with a company that sells software for estate lawyers, an attorney employed to work on a will and life insurance may get the whole package for a lump sum price, which can be $1,200 to $2,000, and, in some cases, up to $4,000. A lawyer hired to assess self-prepared documents may finish the job in two hours and will charge around $300 an hour. The cost of preparing an irrevocable trust is influenced by the size of the estate and the complexity involved in drafting the document. In cases when there are too many investments, more services may need to be performed, which then increases the cost. Setting up an irrevocable trust is in itself an expensive undertaking. According to Investopedia, a traditional irrevocable trust will likely cost at least a few thousand dollars and much higher. Having a lawyer draft an irrevocable trust involves a range of services that are conducted for a fee. While legal costs vary from one location to another, many irrevocable trusts can cost $500 to several thousand dollars. The charges may increase with the addition of more legal services, such as with additional research and assets to trace. When setting up an irrevocable trust, the three main participants are the settlor or grantor (creator of the trust), the beneficiary/beneficiaries (recipients of the trust and any distributions the trust yields), and the trustee (the entity who administers and operates the trust, which may be a bank, an attorney, or other entity established for this purpose). The trust is established by a trust agreement, which is a written document that details the relationships of the participants and illustrates how the property indicated in the trust will be managed and distributed. The trust agreement is typically prepared by an attorney and executed in accordance with state law. Transfer fees and filing fees are extra expenses often required when preparing an irrevocable trust. These fees can be about $30 to $100. There may also be charges and legal fees when changing names on investment accounts and other assets as well as on insurance policies. Transfer fees can cost $20 to $100 depending on the transaction. Apart from the initial fees to set up the irrevocable trust, there may be regular fees owed to the trustee for the management of assets as well as other expenses such as accounting costs related to tax returns. Revocable trust – you still have control over the assets and changes can be made at any time. This type is, however, responsible for estate taxes. Dynasty trust – rather than leaving your estate and assets to your children or spouse, you can skip a generation and leave it to someone else in the distant future. Qualified personal residence trust – since the value of your home can rise and fall, this type of trust allows the terms and conditions of your trust to fluctuate with the market price of your home rather than being a fixed amount. Properties and assets declared in an irrevocable trust are not included in the grantor’s estate, which means he does not need to pay for estate taxes. Although there are some exceptions, an irrevocable trust can provide protection from creditors. The reason is that the grantor is no longer authorized to manage the assets stated in the irrevocable trust. An irrevocable trust doesn’t always make sense. Attorney Suzanne Sayward explains five reasons why you shouldn’t create one. Shop around to obtain comparative quotes from various service providers and learn about the rates involved in setting up an irrevocable trust. 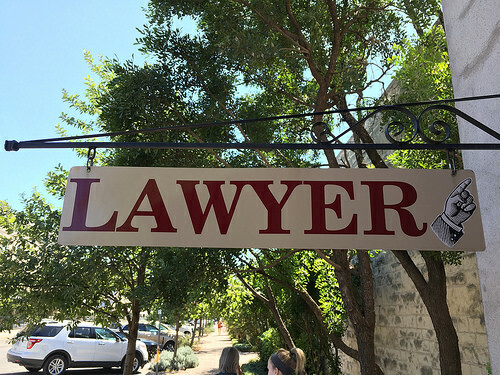 The prices in the quotations often depend on location and the reputation of the law firm or entity scheduled to handle the procedure. If you do not know where to look for a lawyer, consider free directories such as LegalMatch.com. Ask about the lawyer’s hourly rates. Some charge $300 an hour for their services while others demand $1,000 for each hour they spend on your case. Come up with a list of lawyers offering reasonable rates and have a discussion with each of them before making a decision. Consider doing it on your own. There are software packages or companies online that can help you create one for as little as $100 to $500.